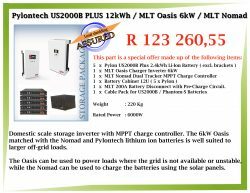 The 24kWh load shed kit is normal household operation. You can take out entire rooms, whole circuit breakers and if you are using power efficiently, you can take out your entire house. 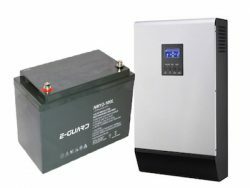 The system has two large inverters(10kW) and a decent battery capacity. The total expected operation of this system is 4800 watts per hour during load shed, anymore would not allow you to sustain a 2.5 hour load shed. You can of course easily add on an additional four batteries get the maximum benefit. That said, you can power quite a bit with 4800 watts. The Axpert is the top sold inverter in the country. Its a hardy piece of equipment, looks great and good value for money. 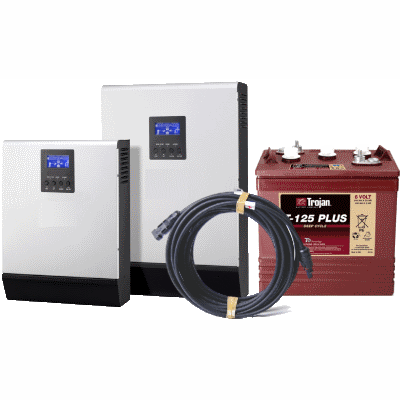 Should there be any problem on the inverter it has excellent local service and support. 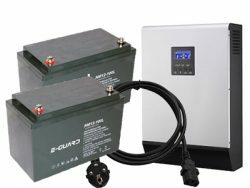 The batteries used here are the top performing AGM/Gel batteries on the market with the longest life span of all batteries in its class.